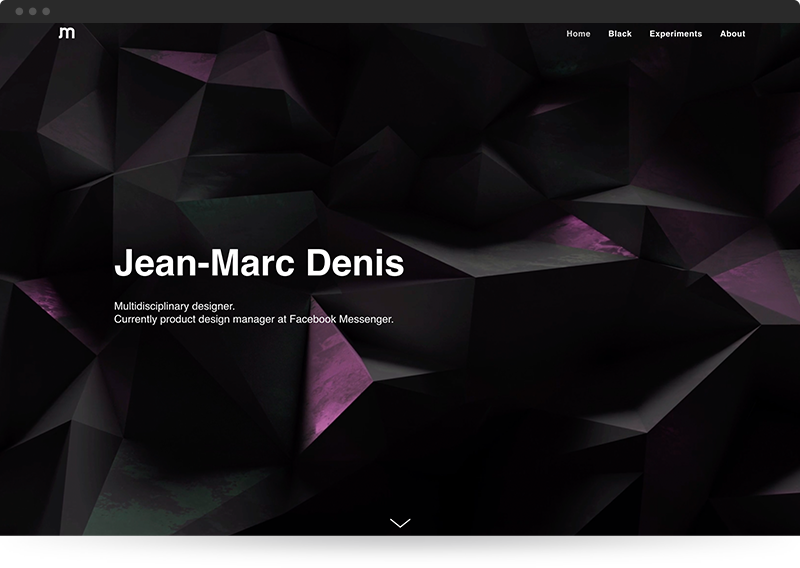 Semplice is a responsive portfolio theme chosen by some of the leading designers in the creative industry. But Semplice isn’t your standard Wordpress theme. It’s a powerful and flexible interactive design system you can use to design your own templates. We believe in the power of community and we believe in open source. That’s why we built Semplice on Wordpress. More than 71 million people use Wordpress and they’re always pushing it to the future. All Wordpress plugins, extensions and functionalities are within reach, but you’ll never interact with the Wordpress interface. Our streamlined, drag and drop content editor is built on top of the Wordpress CMS and packed with unique, modern design features. Better yet, Semplice is completely self-hosted and you fully own the code and files. We believe in the power of community and we believe in open source. That’s why we built Semplice on Wordpress. More than 71 million people use Wordpress and they’re always pushing it to the future. All Wordpress plugins, extensions and functionalities are within reach, but you’ll never interact with the Wordpress interface. Our streamlined, drag and drop content editor is built on top of the Wordpress CMS and packed with unique, modern design features. Better yet, Semplice is self-hosted and you fully own the code and files. Semplice allows you to create dozens of layouts at once. 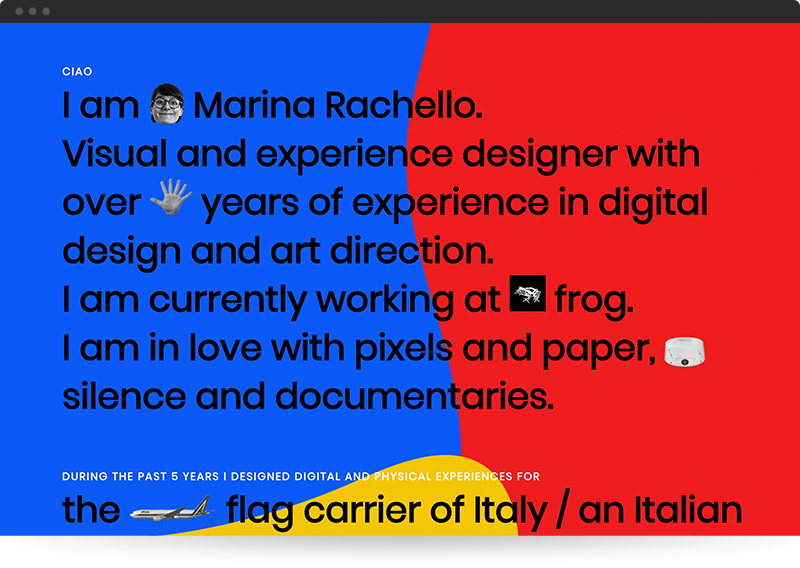 From simple portfolio grid layouts, magazine style layouts, minimalistic landing pages to complex case studies, Semplice gives you a multi-purpose, all-in-one tool to achieve anything you like without knowing how to code. 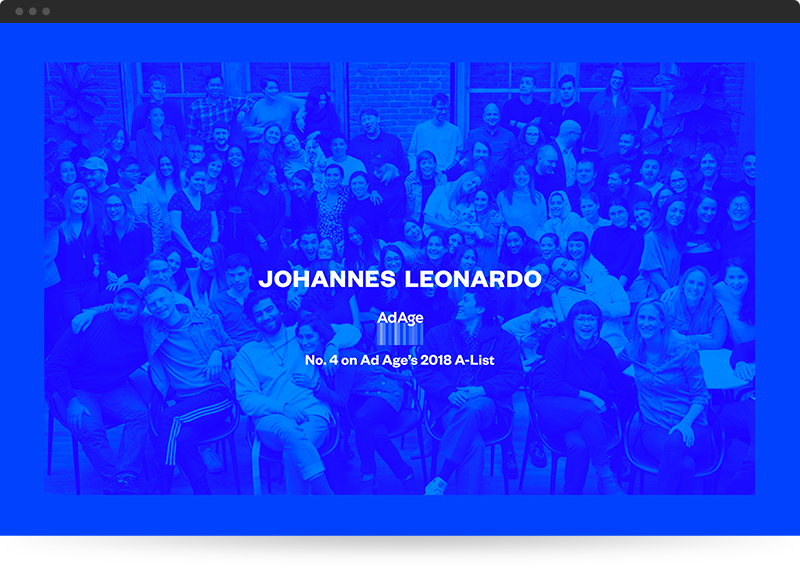 Here are some examples of portfolio layouts and approaches all possible with Semplice. Create sleek editorial style pages in just a few clicks. Use simple drag and drop functionality to design any layout you imagine. Showcase your projects in a neat and organized grid. It’s easy to adjust grid layout and spacing to your liking. Create a one-page site to feature your work, as minimalistic or complex as you need. 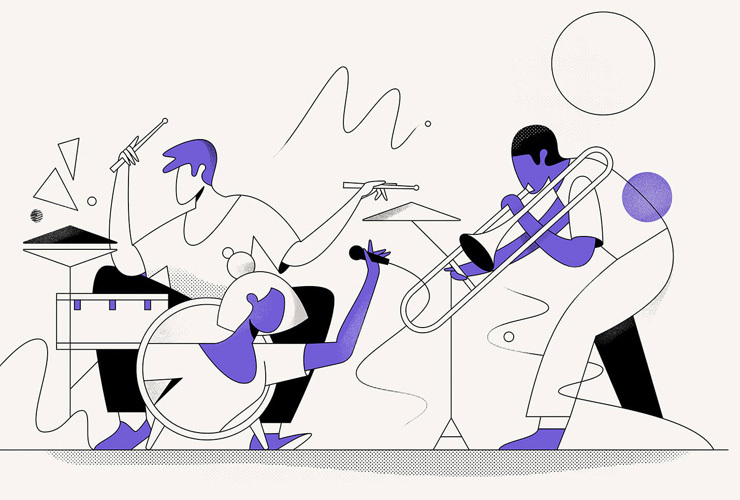 Animations and parallax-style scrolling features add personality to your page. 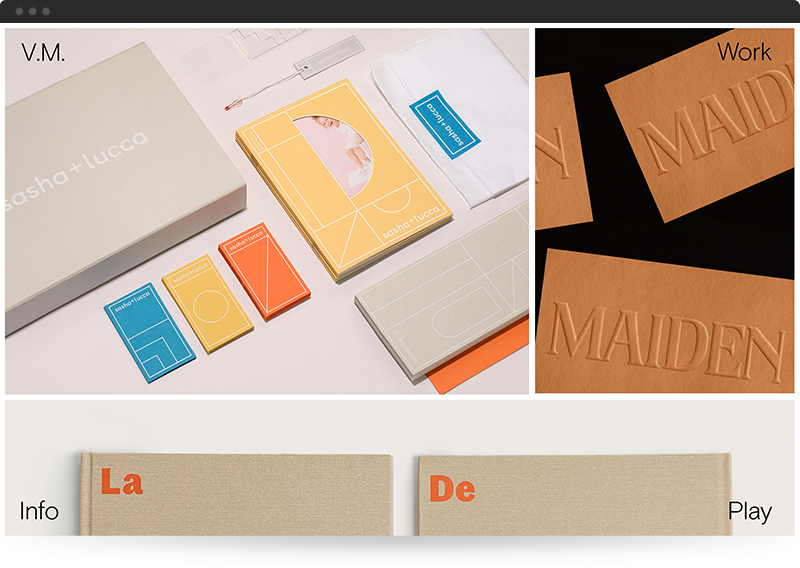 Semplice is perfect for agencies and studios. Build a modern and easy-to-update website showcasing your work. You can also design websites for clients, landing pages for client campaigns or quickly create a professional page for a pitch. Semplice saves hours of development time for your team. Semplice is perfect for agency and studios. Build a modern and easy-to-update website showcasing your work. You can also design websites for clients, landing pages for client campaigns or quickly create a professional page for a pitch. Semplice saves hours of development time for your team. Feature full-screen images on your page with an elegant, vertical scrolling slider. With Semplice you can maximize every inch of the screen and boldy showcase your design, illustration, photography or art. Feature full-screen images on your page with an elegant, vertical scrolling slider. 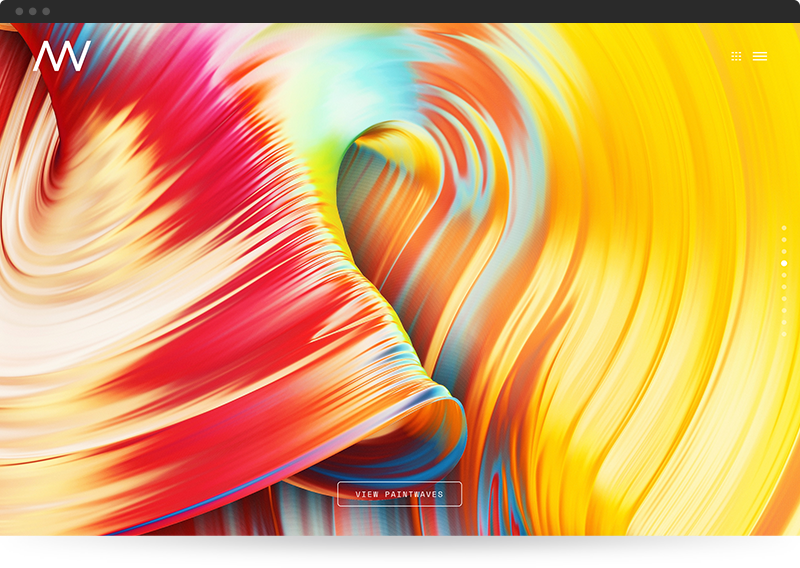 With Semplice you can maximize every inch of the screen to showcase your design, illustration, photography or art. 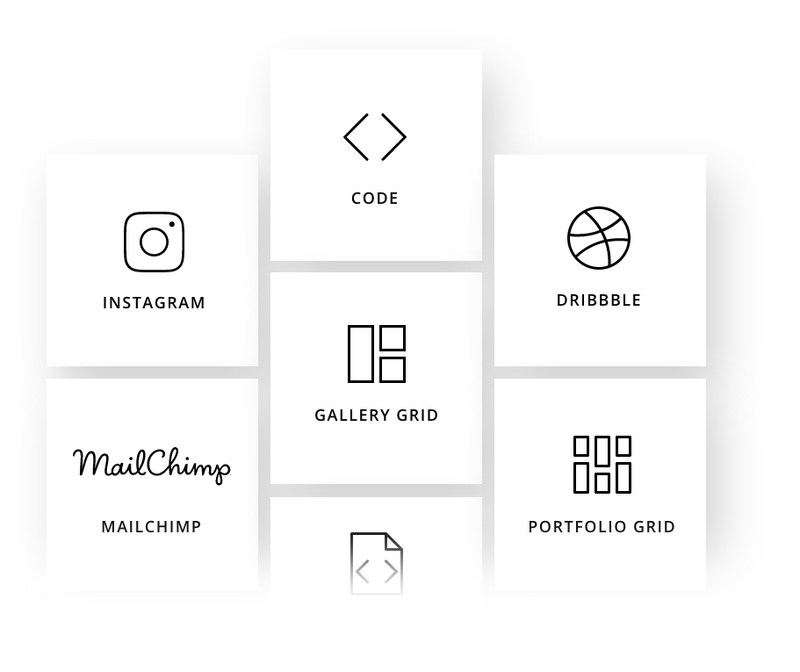 Create a puzzle-like grid to feature your projects in a visually engaging way. Modern touches like this are simple with our powerful content editor. 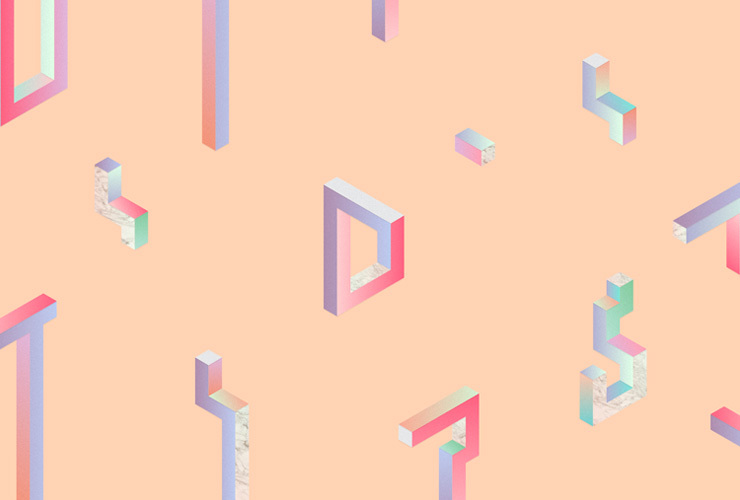 Create a puzzle-like grid to feature your projects in a visually engaging way. Modern touches like this are simple with our powerful editor. Add depth to your portfolio with background video in any section or column on your page. Set your video to play and loop automatically on desktop, and choose a fallback image to display for the best mobile experience. Create a full-screen split design layout in just a few clicks with our live content editor. Place two vertical panels placed side by side to convey your message. Build and launch landing pages fast for a campaign or your personal project. With Semplice you can move quickly and get your work out there while the timing’s right. Upload custom fonts and create a typography-heavy portfolio or page. Adjust your text and line spacing to perfect your page down to the smallest detail. 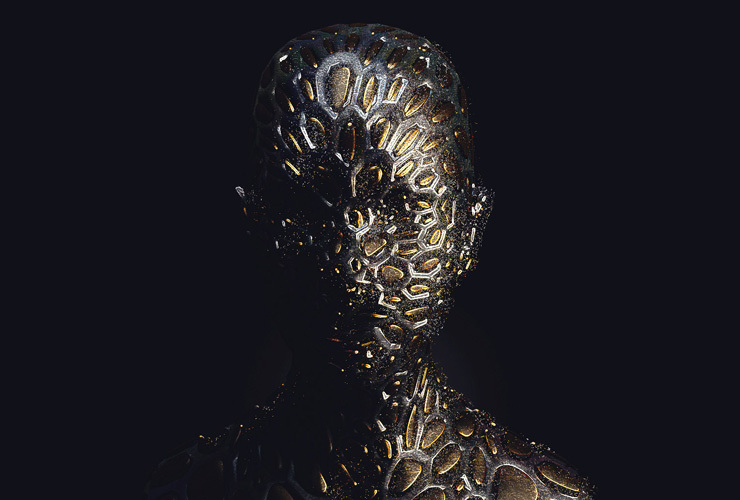 The world’s leading designers, illustrators, artists and agencies use Semplice. Here are just a few people we’re honored to call our Semplice family. 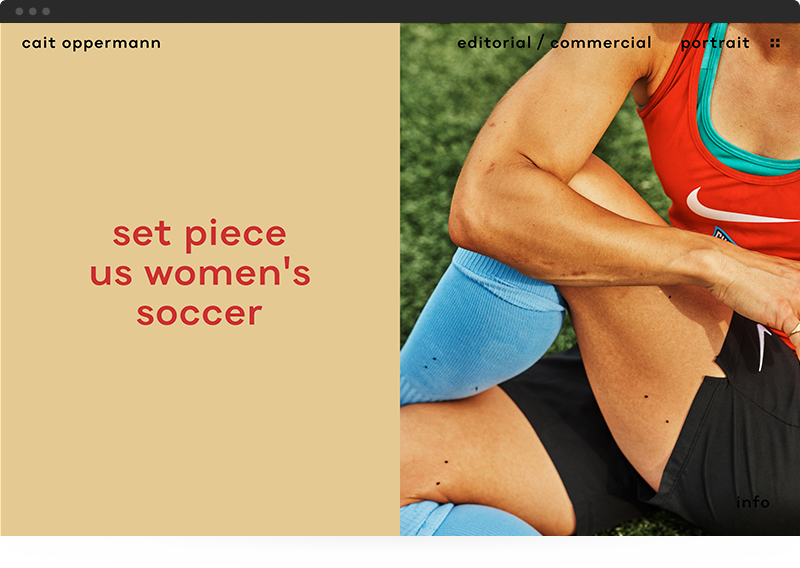 Our drag & drop content editor was specifically built for creating beautiful editorial layouts and case studies within a short amount of time. We’re working closely with some of the best interactive designers to ensure Semplice is made by designers for designers. Edit your content in-place on the page. You can select and format text within your page section instead of relying on a WYSIWYG editor. With our intuitive website builder, drag and drop each element of your portfolio straight on the page and see how it looks in real time. Your Semplice site is automatically responsive, but you can optimize and fine-tune each mobile breakpoint, all from desktop in our content editor. Your Semplice site is already responsive, but you can optimize and fine-tune each mobile breakpoint, all from desktop in our content editor. Semplice supports all major font platforms and self-hosted fonts. Set your own custom style guide and change your fonts live or site-wide. Upload SVG or web optimized images that look crisp and clear on every screen size. Upload SVG or web optimized images that look crisp and clear on all screens. Upload videos directly to your site, or embed them through YouTube or Vimeo. Upload videos directly to your site, or embed through YouTube or Vimeo. Add animation or motion to any element on your page for an elegant and interactive experience. Create and customize your hover animations, scroll animations, click animations, and animations that appear on load. 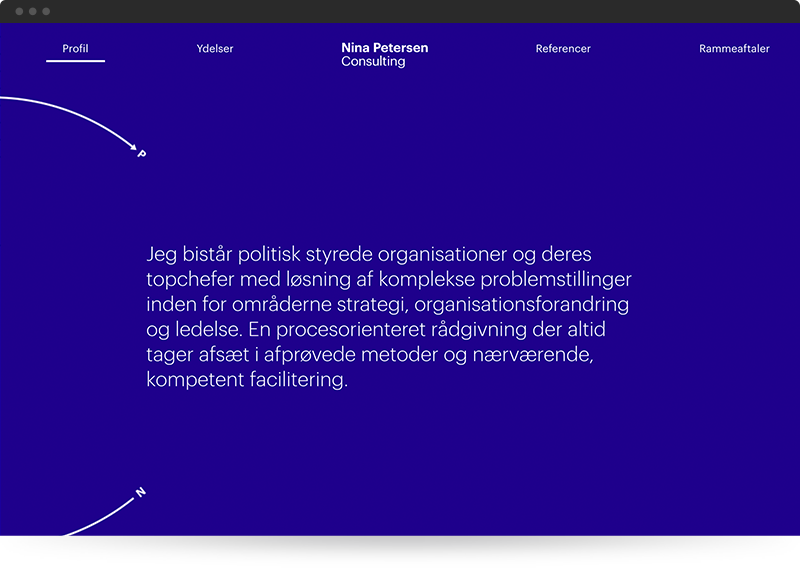 Add animation or motion to any element on your page for an elegant, interactive experience. Add custom hover animations, scroll animations, click animations, and animations that appear on load. Semplice is built on Wordpress, but you wouldn’t know it. Build your site within our beautiful, simplistic interface without ever touching the Wordpress CMS. Semplice offers a wide array of modules that integrate seamlessly within our content editor. Use our code module to inject custom HTML & CSS or widgets from other services in your portfolio. Our gallery module lets you quickly create a photo gallery and drop it into your case studies. With our Instagram module you can embed your live Instagram feed straight onto your portfolio page. Our email sign-up module integrates with Mailchimp to automatically update your email list with new sign-ups. 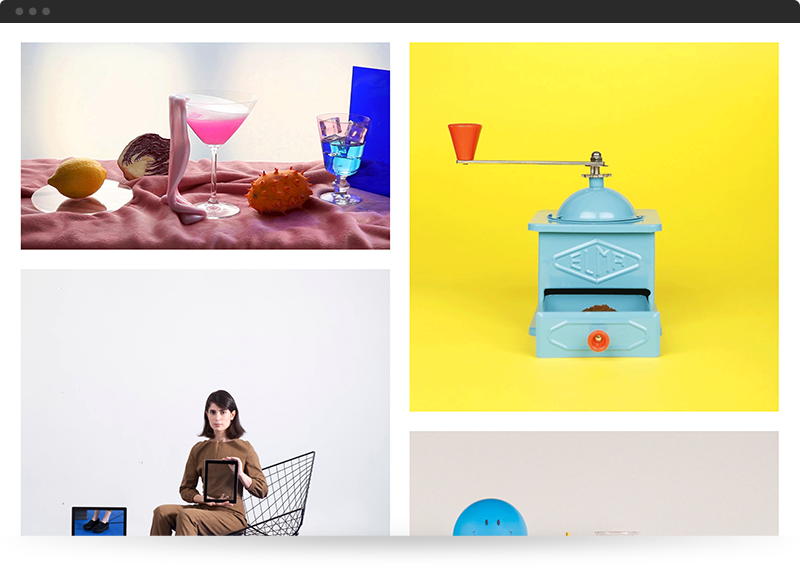 Use the Dribbble module to feed your Dribbble shots into your portfolio. Semplice offers a wide array of modules that integrate seamlessly within our content editor. Use our code module to inject custom HTML & CSS or widgets from other services in your portfolio. Our gallery module lets you quickly create a photo gallery and drop it into your case studies. With our Instagram module, embed your live Instagram feed straight onto your portfolio page. Our email sign-up module integrates with Mailchimp to automatically update your email list with new sign-ups. Use the Dribbble module to feed your Dribbble shots into your portfolio. 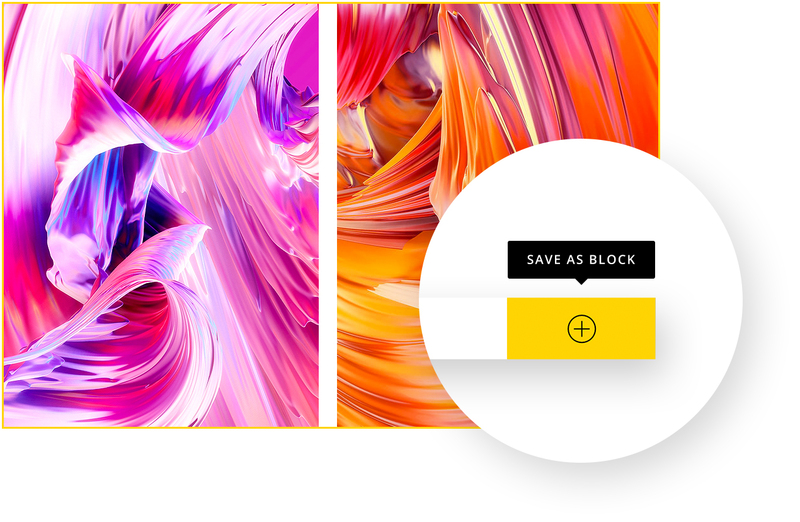 With the Semplice Studio edition, you can use our Blocks feature to save individual content elements as templates and re-use them on any page you want. Save time by building your section once and repurposing it on any page or project. With the Semplice Studio edition, you can use our Blocks feature to save individual content elements as templates and placing them on any page. Save time by building your section once and repurposing it across pages or projects. Every piece of your site is customizable with Semplice, including your navigation. Change the color, add your logo and define your own menu styles. Choose from multiple layout options, whether you want a four-corner approach, traditional navbar design, specific menu placement, a stacked logo or hamburger menu. 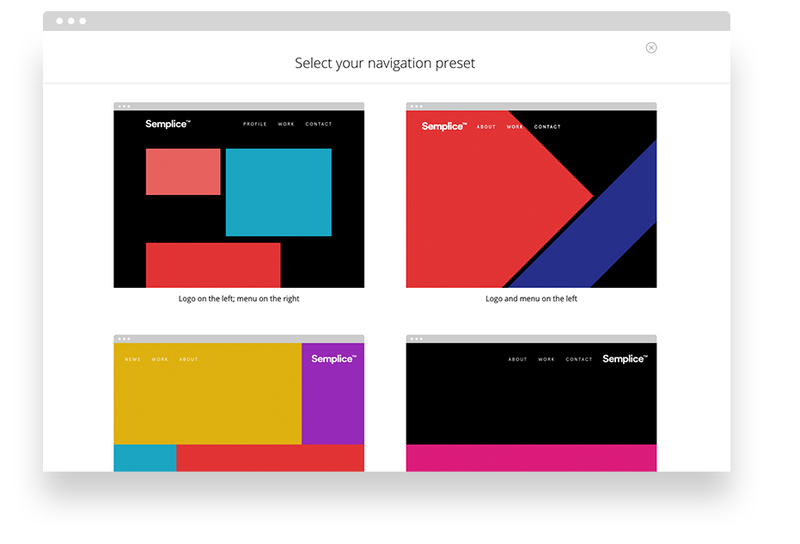 Every piece of your site is customizable with Semplice, including your navigation. Change the color, add your logo and define your menu styles. Choose from multiple layout options, whether you want a four-corner approach, traditional navbar design, specific menu placement, a stacked logo or hamburger menu. Customize the size, color and layout of your footer to match your brand and the style of your site. 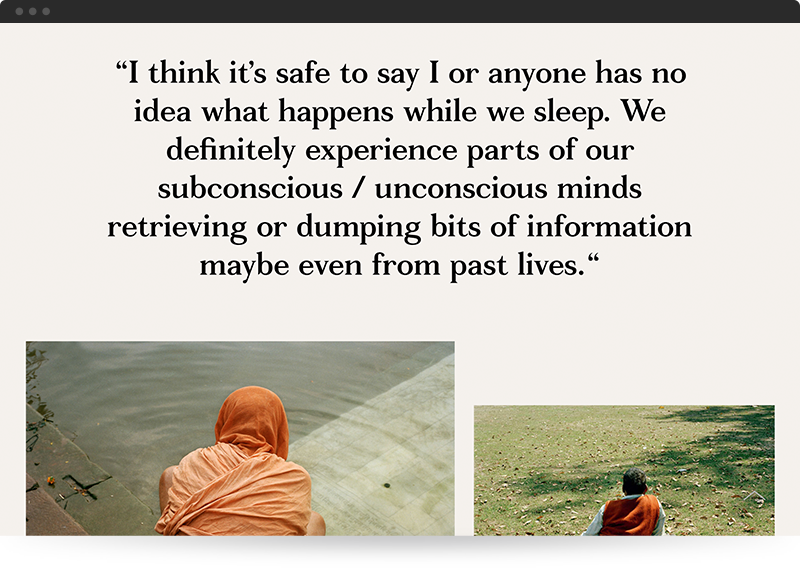 Nothing is off limits with Semplice. Customize the size, color and layout of your footer to match your site. You can even adjust the footer on individual pages. Semplice comes with a minimalistic blog you can use straight out of the box or adjust to meet your needs. Semplice comes with a minimalistic blog you can use straight out of the box or adjust for your needs. 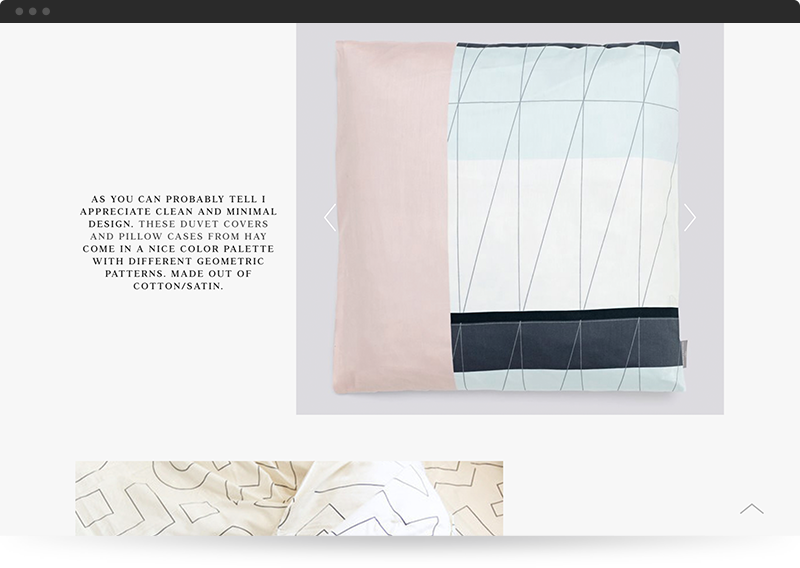 Add elegant page transitions throughout your portfolio to make it feel quick and sleek. Semplice was designed specifically for Wordpress to make it easier to build your design portfolio. Semplice is designed specifically for Wordpress to make it easier to build your design portfolio.